HOW CRAZY IS THIS? A ball of goo that’s both solid and liquid, depending on what you do with it. A putty blob that changes colour when it gets hot. A slithery substance that helps worms slide along and makes boogers form in your nose. Yup: we’re talking CRAZY SLIME! Maybe you’re a master slime-maker with heaps of super-gross recipes. But this book will blow your mind with even more unbelievable, magical ones! Plus: why are slugs so slimy? What kinds of slime are there? And what exactly is slime, anyway? 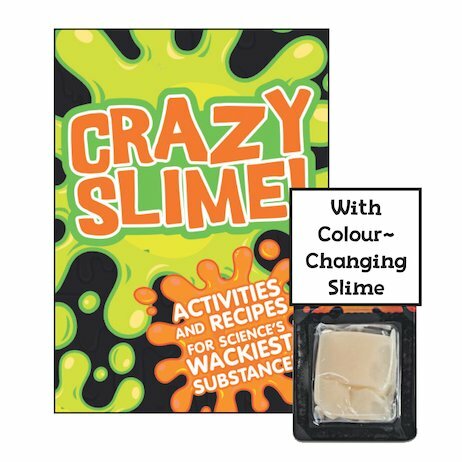 Includes a blob of amazing colour-changing slime!